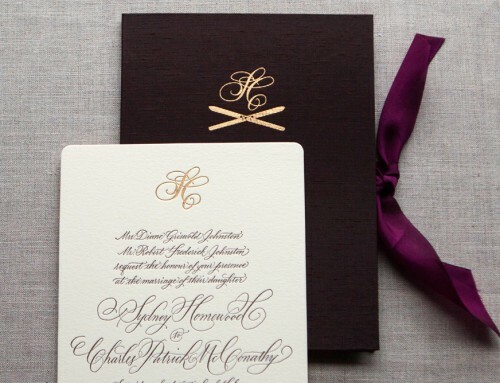 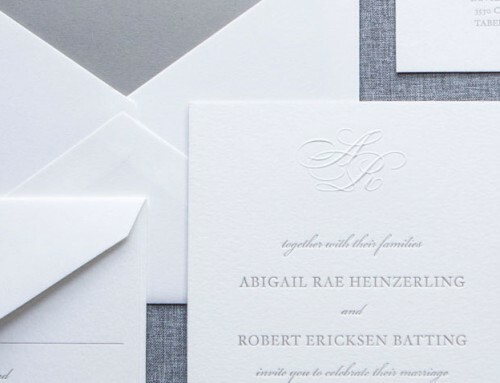 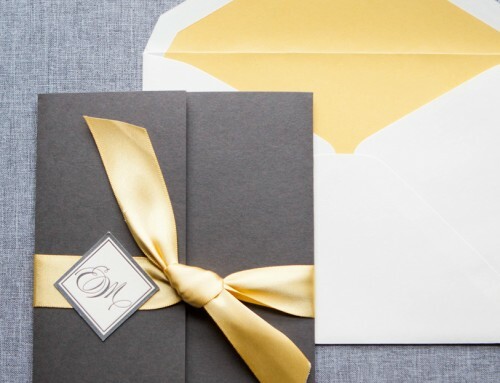 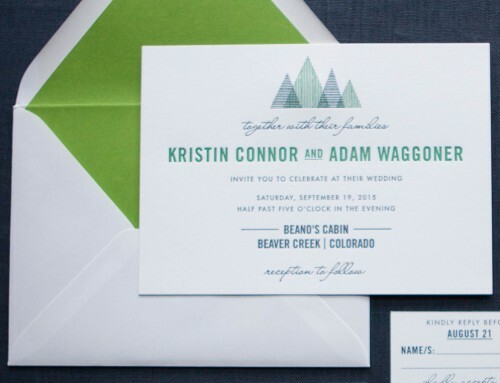 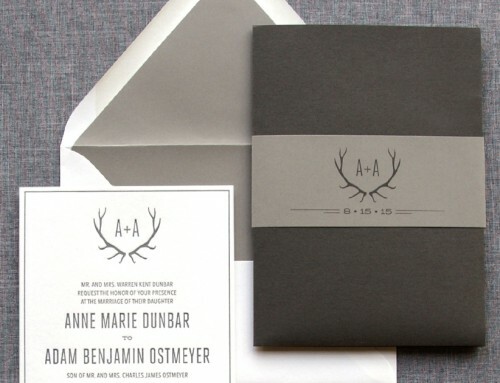 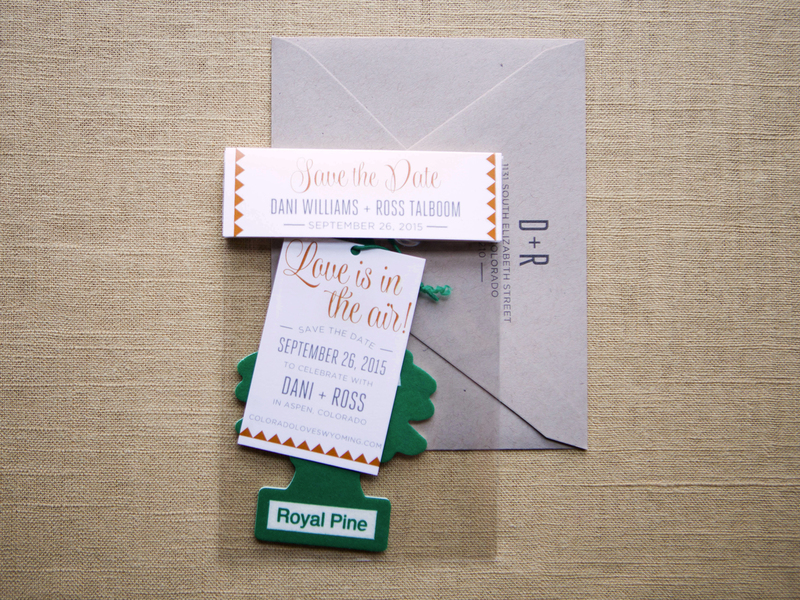 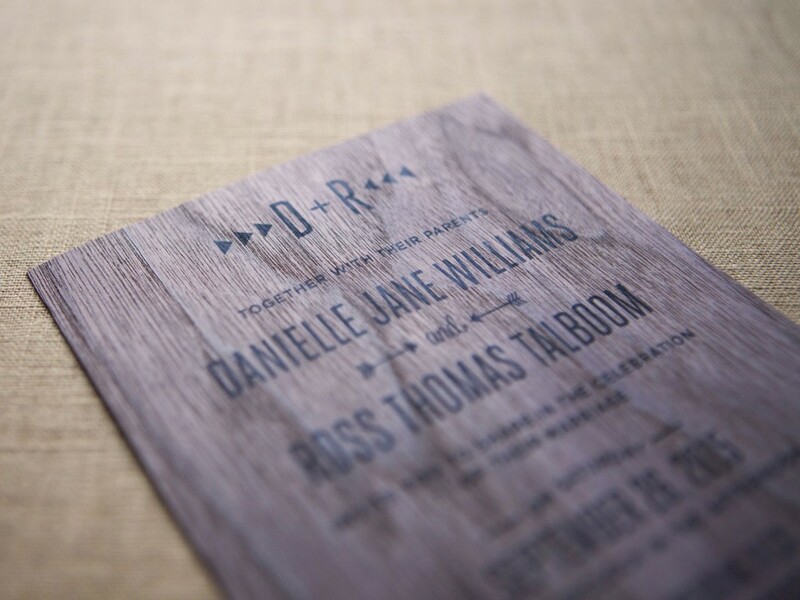 Danielle and Ross came to us with a love for stationery – our favorite kind of client – obviously! 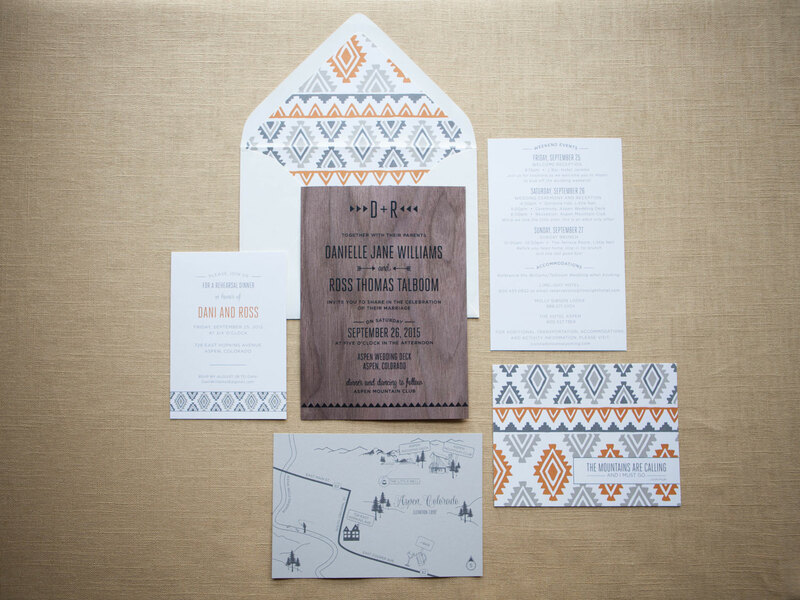 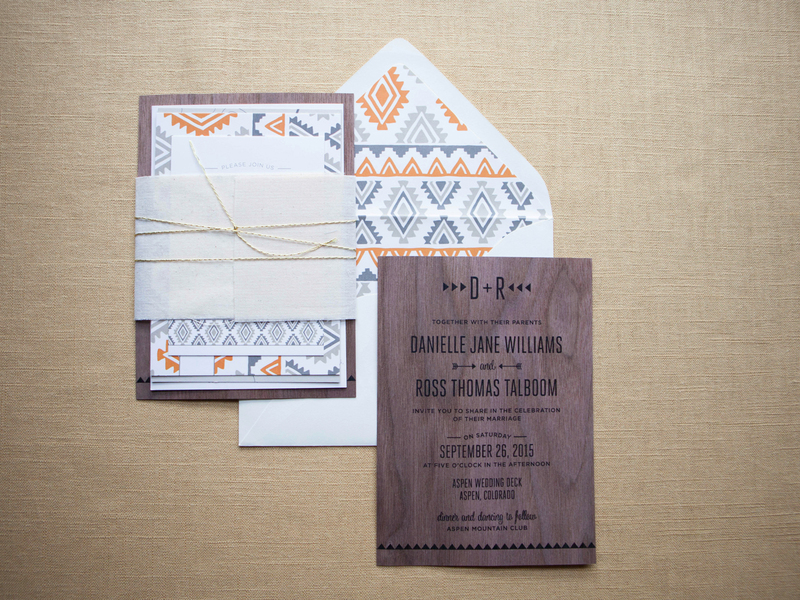 We incorporated southwestern patterns throughout the enclosures while leaving a simple typographic design to the invitation to let the wood veneer shine. 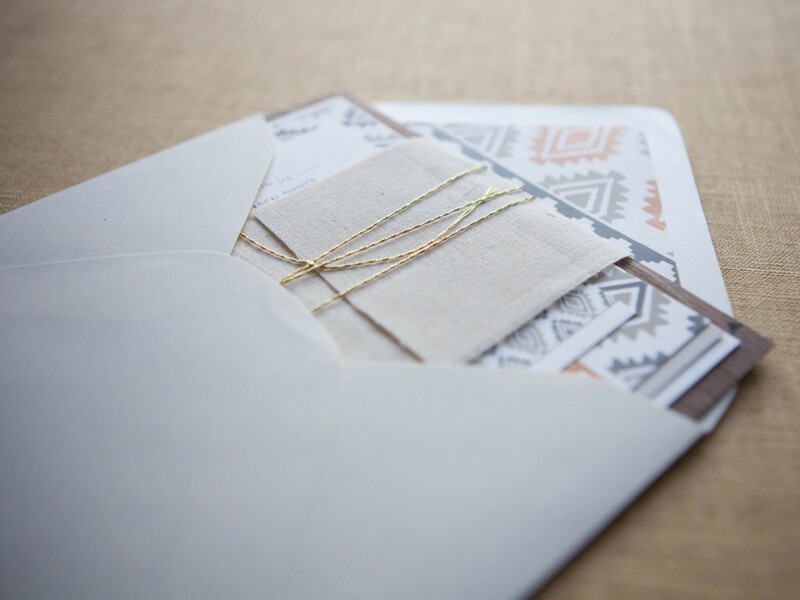 The entire suite was finished with a muslin belly band secured with a gold cord. 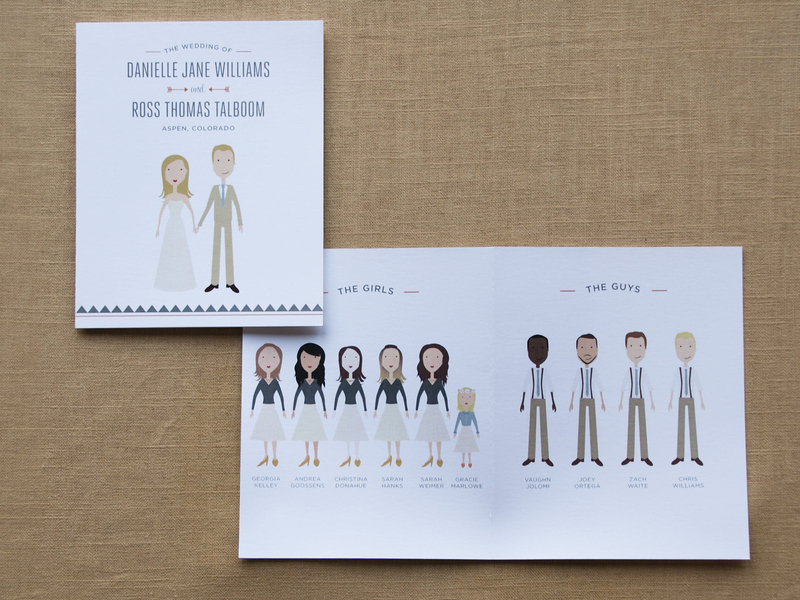 The air freshener save the date and the custom illustrated characters on their program allowed their personalities to shine through!